Emilie Surtees brings her powerful pipes back to The Legendary Cafe Wha? 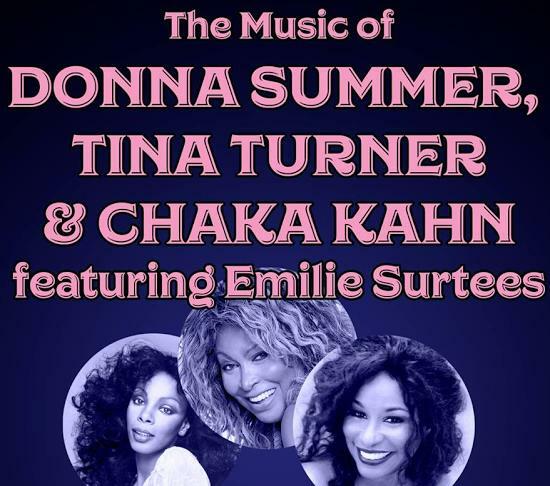 once again for a night of cabaret in which she'll channel the music and talents of Donna Summer, Tina Turner & Chaka Kahn. As a vocalist, Surtees appreciates finding and bringing out the underlying meaning and subtleties of a song. She considers herself a listener first and an interpreter of music second. Her phrasing often mirrors the passion and conviction that the song evokes within her. Her influences range from '60s & '70s Soul/R&B and pop singers like Maxwell, Adele and Pharrell Williams. You'll find this tribute artist every bit as talented as the singers she honors in this show that gives a solid nod to three of the the most influential female voices of the '80s.